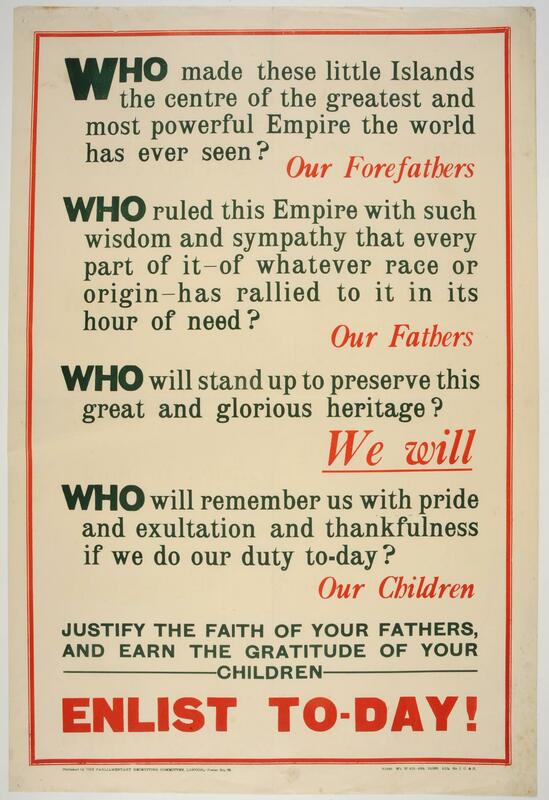 First World War recruitment poster; 'Justify the faith of your fathers, and earn the gratitude of your children. Enlist To-day! '; published by the Parliamentary Recruiting Committee, London, poster no.68. Recruiting poster featuring this stirring conclusion to a series of questions and answers about the war and how it will certainly be won. A Welsh language version was also produced.